The Peoples Democratic Party (PDP) has said Governor Willie Obiano would be the last All Progressives Grand Alliance (APGA) governor that would govern Anambra State as it was set to reclaim the state in the next governorship election in 2021. The leader of the PDP reconciliation committee in the state, Mr. Ngozi Agudosi, stated this at Nnewi South Local Government Area, where he met with different factions of the party. He stated that the state belongs to the PDP, and that every other party that has won election in the state has benefitted from the disunity in the PDP. Agudosi, however, stated that with the recent peace moves initiated by the party and headed by him, other political parties would not capitalise on the factionalisation of the party in the state to win again. He described APGA’s dominance in the state as temporary, saying the dominance was propelled by the crises of interest in PDP, which has caused some of its members to work against her during elections. He traced the formation of PDP to the late former Vice President, Dr. Alex Ekwueme, who was an indigene of the state, saying the roots of the PDP is still very strong in the state. “Our party has been out of power in the state for 14 years now, due to wrangling. “I’m convinced in this reconciliation project because it is a divine mandate that I should reconcile my people so that our party can win elections here again. “I saw the crying and pains of party members at the grassroots. They are seeking someone to give them sense of direction, which I will provide. That’s why they are embracing it. “I only consulted my leaders from the state in Abuja and I told them I’m going on this mission. Olisa Metuh, Peter Obi and Chris Uba are my political leaders, but none of them sent me here. I’m here based on the interest for the state. And all of us are working together,” Agudosi said. He added: “APGA is like a faction of PDP in Anambra State. Today, they are claiming to have won 21 out of 21 in the last governorship polls which most of them can’t explain how it happened. “By the time I am through with this mission, we are going to say bye-bye to APGA in this state. I’m not boasting. 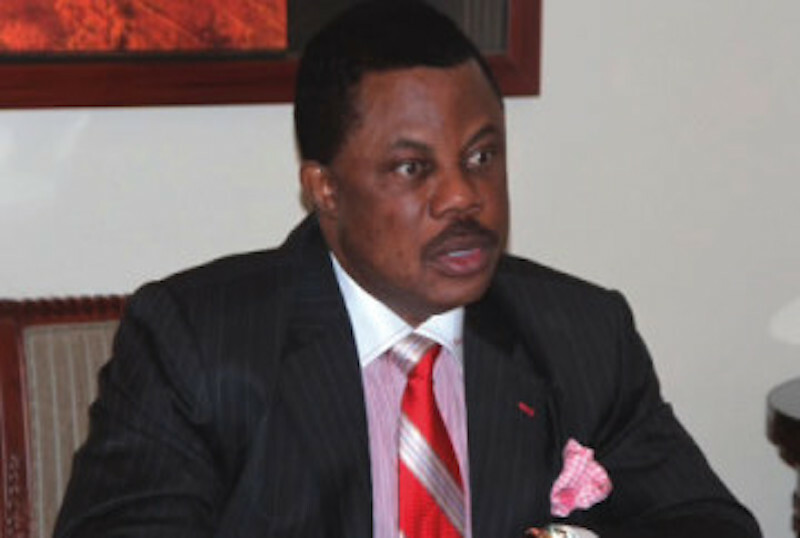 Obiano will be the last governor of APGA in Anambra State.